I'm interested in finding out what the major views are on Adam's motivation to sin if he was not deceived? The biblical understanding of Abraham being willing to sacrifice his son was that he believed God would make it right (Hebrews 11:19). Jesus loved us so much that, even though He knew we would fall into sin, He created everything anyway: Because He knew and wanted to redeem us even with that happening. Jesus is the "last Adam" (1 Cor 15:45). Is Adam a 'type' of Christ? Is Adam a 'first Christ' (not really a 'Christ' / Saviour, but a foreshadow, or symbol or similar) ? So, given the above, if Adam was not deceived (1 Tim 2:14), if he was really not deceived, then why eat the fruit? The Bible is silent on why Adam chose as he did, though there is much speculation on the subject. One conjecture that comes up from time to time is fear. In the early accounts of creation, God judges nearly everything to be good, except one: for Man to be alone. Adam had endured this before Eve came, and although he did not see Eve drop dead on the spot, he knew she would die, and he would be alone again. What did he hope to accomplish by eating the fruit? No one knows. He had not heard the serpent's lies, so it doesn't seem likely that he would have been motivated by them. Perhaps it was a form of lovers' suicide: he chose to die with her, rather than be left alone. Or maybe he thought that that if God were faced with the prospect of losing His only two humans, He might change His mind. Nothing in the Bible says either way. But in any event, rather than simply have faith in God to somehow make things right, he chose to go with Eve, rather than go with God, and thus he Fell. This is, of course, nothing but speculation. There's nothing to support or refute it. But it's a fun question. I cannot see how this question can ever be answered according to any Scripture I know. The only inference I can draw to a possible answer is that without knowing good from evil, unless Adam were with Eve when the Serpent deceived her; he might not know that that fruit his wife gave him was the forbidden fruit. otherwise like all men we know to just eat what our wives prepare for us and keep our mouths shut. one other remote answer would be that he didn't want woman to be smarter than man, at which he may not have succeeded anyway. According to Genesis 3:6, after the woman had eaten, she offered the fruit to her husband who was with her. I see here only a change in panorama, not a change in chronology. Adam had been standing there the entire time. He heard it all, he saw it all. If we look at the first part of verse 6, a possible answer reveals itself. It was a tree to be desired to make one wise. To begin with, the woman was motivated by what she now "saw," not by what God had previously declared. And what she saw appealed to the bodily senses and carnal desires. It is no coincidence that a serpent is seen beguiling the woman. That the serpent ("the poisoner") was the mouthpiece of Satan is commonly understood. And in a very real way, here the serpent "poisoned" the thinking of the woman and her husband, "who was with her." Irrespective of what Adam did or did not see with regard to the tree, what he DID see was that the woman had eaten of the forbidden fruit and "was not dead." Regardless of Adam's position with regard to the tree, he was still motivated by what he "saw" in stark contrast to what God had declared and commanded. Thus, Adam's motivation to sin was the fact that he did not see the woman fall down dead. Which brings up an interesting point. These are the words of the LORD which Moses, in turn, conveyed to Israel. I submit that there is little difference, if indeed there is any at all, between an oath that binds one's soul and a deed which does so. Here we have God's own declaration that if the husband hears (or hears and sees) what his wife does which is contrary to God's declaration, command, statute, edict, law, precept, etc., then the man has full authority to disallow what was said or done by the woman (wife) and, "...the LORD shall forgive her." I see no reason to strip Adam of this caliber of authority. He would have been well within his sphere of authority and dominion over the serpent in disallowing the "act" of the woman, and to give the serpent the "left foot of fellowship" from the garden. In so doing he would have upheld the command of God both in regard to the "fruit" and in regard to "having dominion." Not the answer you're looking for? 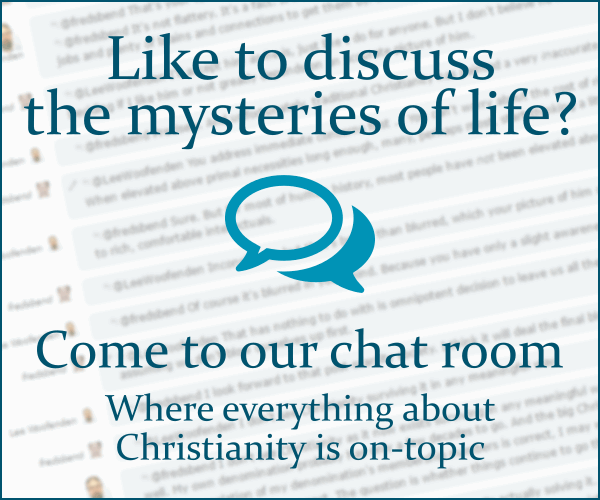 Browse other questions tagged life-of-jesus sin genesis adam or ask your own question. What are the expected results of sexual sin? What was the Sin of Gomorrah? How was sin not counted before the law? What is the basis for saying that Adam was created without sin? What views are there about the necessity of Jesus' murder?